For maintaining healthy lifestyle, subscribe health and fitness magazine is the ideal ways. Since you do not need a lot of money to spend and you could get it easier. The information in health and fitness magazine is so complete that you do not necessarily need the personal coach. 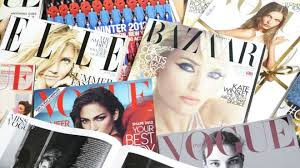 Here is the list of health and fitness magazines for all genders that you should read or subscribe, listed in alphabetical order. You do not have to subscribe if you want to read the information in the magazine. It is mobile apps that free to download. Though it is free apps, the information in the magazine is complete like another paid magazine. This magazine has special feature inside, the interview to the professional body builder. The readers can find the scoops about how professional training and follow the scoops by themselves. Just like its title, this magazine covers on advices how to maintain healthy lifestyles, review of some healthy products and workout tips. It is the magazine from UK that covers anything related topics of being healthy. In its country, this magazine is considered as the best selling of health and fitness magazine. You can see in the title that this magazine is targeted for the men. This magazine full of fitness tips, nutrition and health and any advices that benefits for men. The magazine covers on the latest information of exercises and health-related tips. So the men still stay fit and healthy. This magazine emphasizes the muscle building and body building along with information about nutritious tips, diet plans and training plans for any genders with any body shapes. This magazine gives information about alternative options for maintaining health. Usually it is in the form of natural sources. You also can find the information about body and soul, diet and nutritional tips. This magazine is famous in young women readers. Because it gives the tips and tricks of beauty, fashion, diet and nutrition, workout training and lifestyle so the women could shape their body and have flawless skin like they wanted. This health and fitness magazine is aimed to women on every range of ages. It covers on all topics that women-related from health topics to beauty. People who interested to vegetarian lifestyles are increasing than ever. This magazine is cover on anything information related to vegetarian lifestyles like recipes, fitness and lifestyles of vegetarian, the events and the profiles of famous vegetarian people and so on. This magazine is focus on workout training for women. You can find the information about the new exercises of the year or how to practice the workout in safety ways. It is all about training. This is the pair of Men’s Health Magazine. It has reviews of beauty product, the healthy recipes that would not blow your body’s weight, the exercises advice to maintain the body’s fit and health and so on. It used to be named as Bodyfit. Your Fitness is targeted to women who love fitness. This magazine likes to share about workout exercises just like a professional did. It focuses on well-being conditions of individuals. Dr. Sarah Brewer is editor of this magazine. This health and fitness magazine would cover anything that it may improve the well-being, from health to finances problem, because this magazine is believed that daily problems could affects the holistic of well-being conditions. Herbal skin care: herbs or herbal skin care mechanisms? Copyright © 2016 Health Care and Business All Rights Reserved.